Simplifying affirmative action compliance for HR departments of government contractor companies — since 1986. Maly Consulting LLC is a boutique firm of professional consultants devoted entirely to technical compliance issues associated with equal employment opportunity (EEO) and workplace affirmative action (AA) regulations. We provide data analysis services for the demographic and statistical reports in affirmative action programs (aka affirmative action plans and AAPs) as required by the Labor Department’s Office of Federal Contract Compliance Programs (OFCCP). We test federal contractors’ compensation systems and employment practices for potential discrimination against minorities, women, and/or those 40 years of age and over. We prepare, present, and defend (when necessary) clients’ AAP documents, pay, and employment data to OFCCP compliance officers during audits with that agency. Maly Consulting LLC is a woman-owned business and is certified by the National Women Business Owners Corporation (NWBOC) as a Woman Business Enterprise (WBE). Our clients are the human resource (HR) departments of federal government contractor companies in the private sector. Our clients — several of which are on the Fortune 500 list — come mostly via referral, and represent a broad spectrum of industries: banking/finance, healthcare, biotech/biopharmaceutical, chemical, computer hardware, engineering/construction, fitness centers, food distribution, higher education, hotels, manufacturing (both durable and non-durable goods), research, software, transportation, wholesale trade. 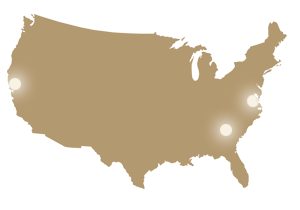 We have provided clients with Affirmative Action Programs nationwide. Founded in 1986 as a sole practitioner firm under the name Maly & Associates, today Maly Consulting LLC is a small group of talented, experienced human resource (HR) management consultants who specialize solely in technical compliance issues associated with equal employment opportunity (EEO) and workplace affirmative action regulations. We compile, format and analyze HR data for government-mandated reports, affirmative action programs (AAPs), and audits with Department of Labor’s Office of Federal Contract Compliance Programs (OFCCP).